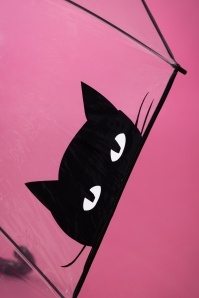 Umbrellas can be normal, everyday objects, but these vintage umbrellas are quite the contrary! 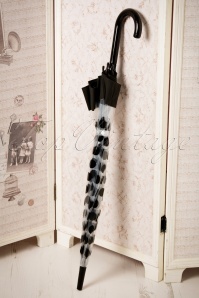 Not many items make you feel as much like royalty as these exceptionally lovely and elegant vintage umbrellas! 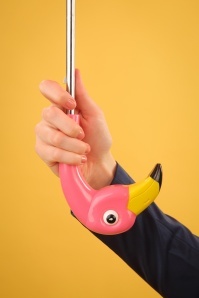 So if you’re looking for a unique retro umbrella, you came to the right place! 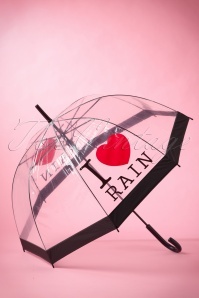 Not a big fan of the rain? 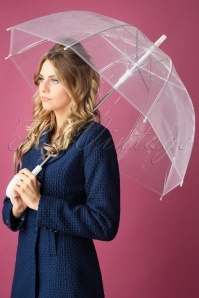 You’ll mind it a lot less with one of these extremely elegant vintage umbrellas! These eye catchers are designed to add class and style to your appearance, no matter what kind of retro style you like! 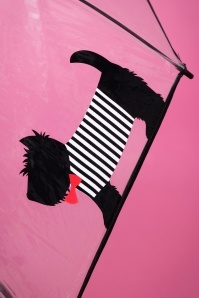 Fun, elegant and with beautiful detail, these items have it all! 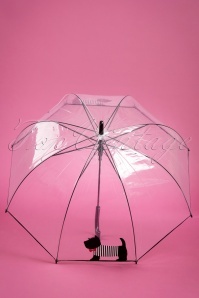 You can go for one of our wedding umbrellas and feel as feminine as an aristocratic style icon like Grace Kelly. 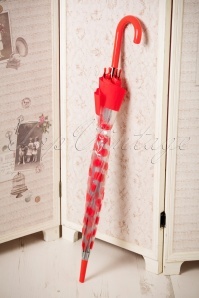 They also make an unforgettable match with many sorts of wedding gowns! 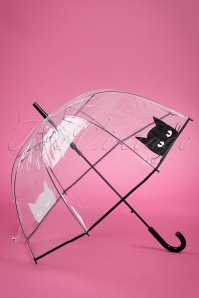 Looking for an umbrella you can use during a normal day? 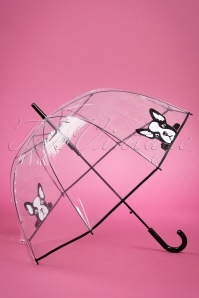 In that case, you can choose a polka dotted or animal printed retro umbrella that will make you look 60’s chic! 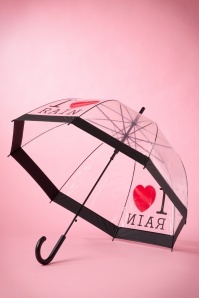 These umbrellas will make going for a walk in the rain very romantic! 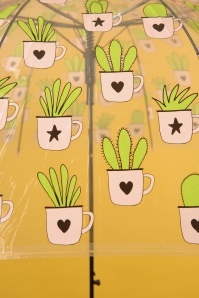 Our goal is to collect the most stylish and feminine retro items, and to offer you the best online shopping experience. Have you never ordered online at TopVintage before? You’ll quickly see how easy it is. Just add your favourite items to your shopping cart, follow the payment instructions, and benefit from our super fast shipping service. 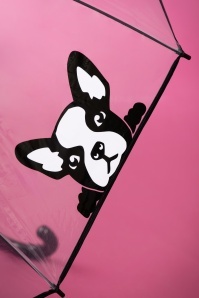 You’ll receive your new favourite piece of clothing or accessory before you know it! In case you’ve found some other items you’d like to buy, you might find this interesting: if you order for over €250, we won’t include any shipping costs, no matter where in the world you live!